The evening of November 25 2016, saw Sir David Attenborough and Alastair Fothergill captivate us with stories of how they have made some of the most memorable wildlife scenes; from Sir David gamely stepping close to a bull elephant seal, to the secrets of how they followed hunting dogs across the plains of Africa as they wear down their wildebeest prey. It was truly fascinating. At the end of the talk Durrell CEO, Dr Lesley Dickie, had the opportunity to remind everyone that we need to do more to protect our natural world. 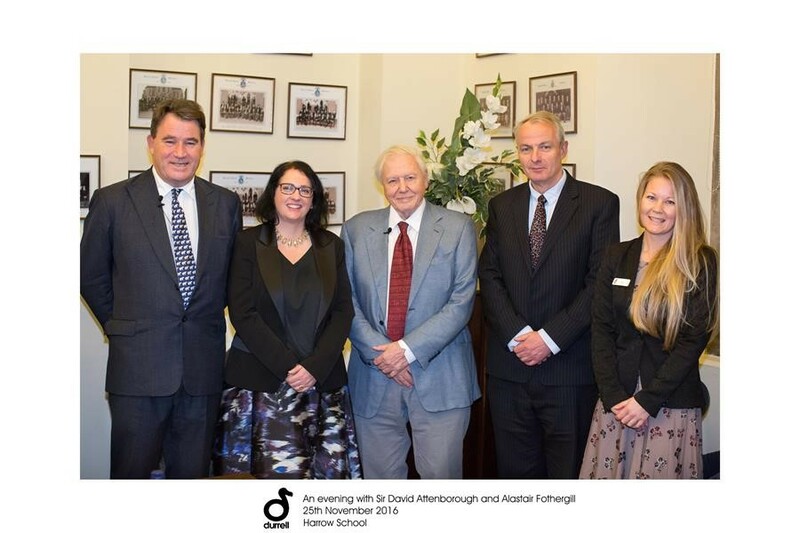 “One of our 2016 highlights at Durrell was our ‘Evening with Sir David Attenborough and Alastair Fothergill’ at Harrow School. It was a very special evening in a wonderful location and we were looked after so well by Harrow staff and the events and catering teams. 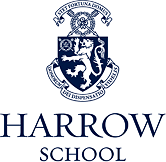 Thank you once again to everyone involved and to Harrow School for their kind support. We hope we have the opportunity to work with you all again in the future”.